Congratulations! You’re going to write your book and are ready to start. But how will you find the time? The rest of your life hasn’t changed, and your schedule was already full. You’ve heard about The Law of Attraction, haven’t you? The Law of Attractions says that what you think about is what you attract into your life. Your dominant thoughts will find a way to manifest. When you change your thoughts, you change your life. You didn’t wake up one day and say, “Oh, I think I’ll write a book now.” No—something put that seed inside you. And it’s been growing over time. This desire came from something bigger than you, and its effect will be bigger than you, too. Your message can change the world, and that’s exactly how we change the world … one reader at a time. Life is busy, and time is precious. You’ve got work, the kids, vacation, responsibilities, blah, blah, blah. That little voice that whispers sweet defeat in your ear even before you even get started needs to be put in its place. Tell it you ARE going to do this and you DO have enough time. This is a challenge, but you’re up to it. So how do you find the time to write your book? 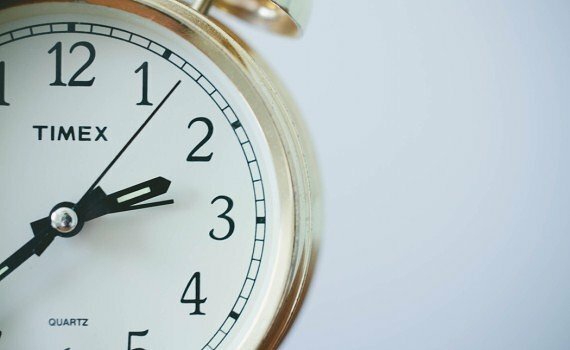 I use a method for organizing my time called Time Blocking, and it can work for you, too. When you Time Block, you divide your time into blocks so that you can use it wisely and be productive. Of course, you have to be efficient when you carve out the time for writing, which means that you take a look at EVERYTHING you do, evaluate all your responsibilities, and organize the tasks into specific blocks of time. That’s how you get everything done. Time Blocking also means that when your calendar is set, you HONOR the calendar, that you ENFORCE the calendar, and LIVE BY the calendar. It takes discipline, but it’s very effective once you get the hang of it. When I was first introduced to the idea of time blocking, I thought Good Grief! I’m going to have to get up at 5:00 am in order to get everything done. I’m not suggesting that your days be as long as mine are, but on the other hand, if you need to pack more in for the short term in order to can get your book written, then so be it. Notice how I block my time. Everything is color-coded, and you can see that I devote large blocks of time to my tasks– not just fifteen minutes here or there. I organize my time so I can concentrate fully on one thing, then move on to the next. 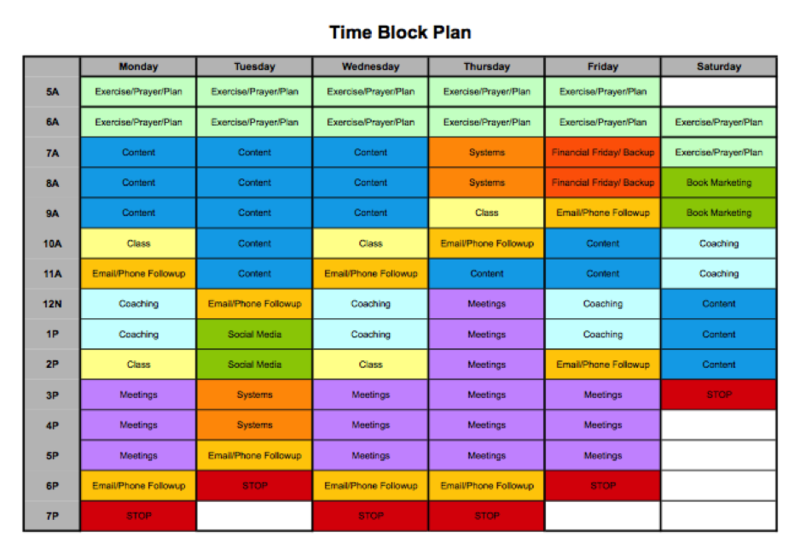 Every week, I have to schedule time to plan, write, deliver, and produce my classes, as well as coach my clients, so I calculate how much time I need per week for those tasks, and schedule everything in blocks throughout the week. If you need more help, contact me for one-on-one coaching or group writer courses or sign up for my newsletter for more information, class announcements, and tips for writers.